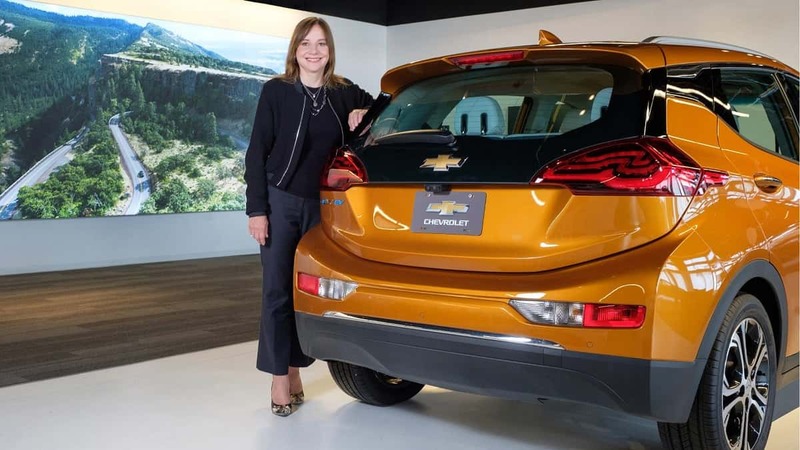 Last September, General Motors' CEO Mary Barra has penned her own direct update on GM's electric vehicle plans to fans and enthusiasts. You can read her report yourself if you have a Linked In account (it's free). Barra stated that GM was increasing Bolt production at the Orion Assembly Plant and also increasing its battery production at its partner's LG Electronics facility in Hazel Park, Mich. Since September Bolt sales have remained unchanged. GM may have increased "Bolt production," but we have no evidence in the sales reports since to prove that. In late 2017, GM was able to deliver over 2,500 Chevy Bolts in September, October, November, and December. GM's Bolt deliveries then dropped to about 1,200 per month until about Q4 of 2018 when they resumed a pace of about 1,500 per month on average. GM may have "increased Bolt production", but the model's production was obviously higher during the end of 2017 than in Q1 of 2019. Or unsold Bolts are stacking up someplace. Ms. Barra stated in September that GM's battery lab in Warren, Michigan had expanded. The idea is that GM would enjoy "...major enhancements begin this fall with new test chambers and advanced equipment to accelerate our next-generation battery architecture." It is hard to say if this is working, but we will take GM at their word. It is good to see GM working on batteries. Once internal combustion is gone, it would be nice if America had a domestic battery industry. Presently, electric vehicle battery development and manufacturing are centered in China, Japan, and Korea. Since September, GM has not introduced any new EVs in America. To the contrary, GM eliminated its top-selling electric vehicle, the Volt EREV. Ms. Barra pointed out in September that GM had introduced two new EV models in China, the Buick Velite 6 EV and the Baojun E200. While true, the Velite 6 is basically a Volt. The E200 is not an electric vehicle in the sense that we understand it in America. It is a tiny two-seat min-car (above in white). Where is GM's AWD EV compact crossover? How did both Mitsubishi and Toyota beat GM to market? GM's EV development plans are different from other EV manufacturers in key ways. For one, GM is the top-selling brand for affordable EVs in America. That has been true for past years due to the Bolt/Volt pairing and a little help from the Spark EV. In Q1 of 2019, GM's Bolt was the top-selling affordable EV in America on its own. GM walks the walk and provides more affordable EVs to the U.S. market than any other automaker. For this, we feel GM earns extra credit.